It’s November and the days are getting short and cold. As the icy fingers of Jack Frost stretch out over the valley, the last splashes of autumn colour are snatched away on the wind. We’ve officially stepped into late-autumn, a time of the year that can feel gloomy here in the Okanagan Valley. But don’t despair! Despite the cold, darkness and gloom of November there are still some awesome family-friendly outdoorsy things to do and places to see in the Okanagan Valley. 1. Dust off those skis and go cross-country skiing! November is a bit early for downhill skiing in the Okanagan Valley, but not for cross-country skiing! 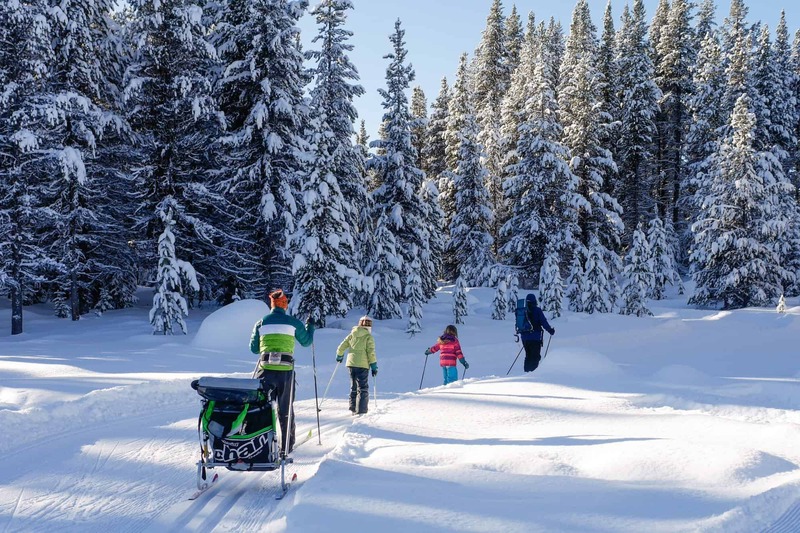 Nordic centres throughout the valley start opening as early as the first couple weeks of November. 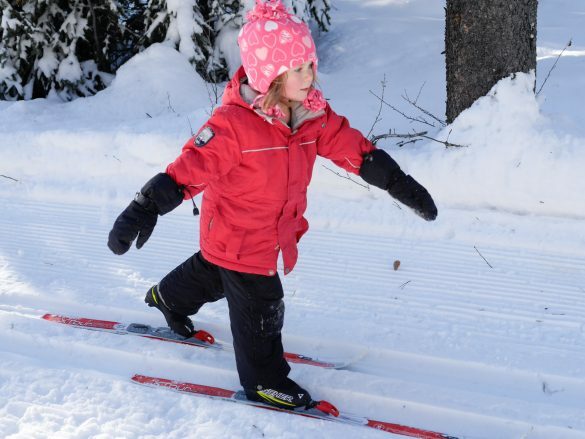 Cross-country skiing is a very family-friendly winter sport, super affordable and not difficult to learn. This is one activity you should definitely have on your family adventure bucket list. 2. Lace up those skates and hit the ice. 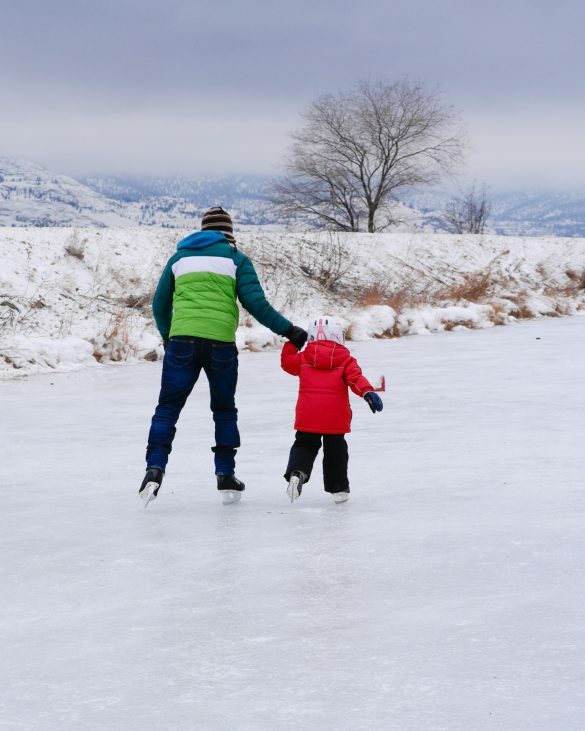 Drop in on for family skate session at your outdoor or indoor rink. Usually family skates nights are low cost or free. Local outdoor rinks should be open by the end of November or beginning of December, possible earlier with the cold weather being forecasted – brrr! 3. DROP EVERYTHING and get pumped for ski season. Get tickets to “the funniest, most action-packed ski movie of 2017”! This show is the perfect way to get pumped for the upcoming downhill ski season. 4. Join #FallOutside2017 with Mud Puddles to Meteors. For the month of November Mud Puddles to Meteors is offering daily email inspirations and motivations to get families outdoors and connect with the natural world. Come and get inspired to #FallOutside2017! Sign-up here. November is a great time of year to hike in the Okanagan Valley. It’s cool but there’s not much snow yet. On November 17th it’s Take a Hike Day, so go out with your kids and explore some of your favourite Okanagan trails. 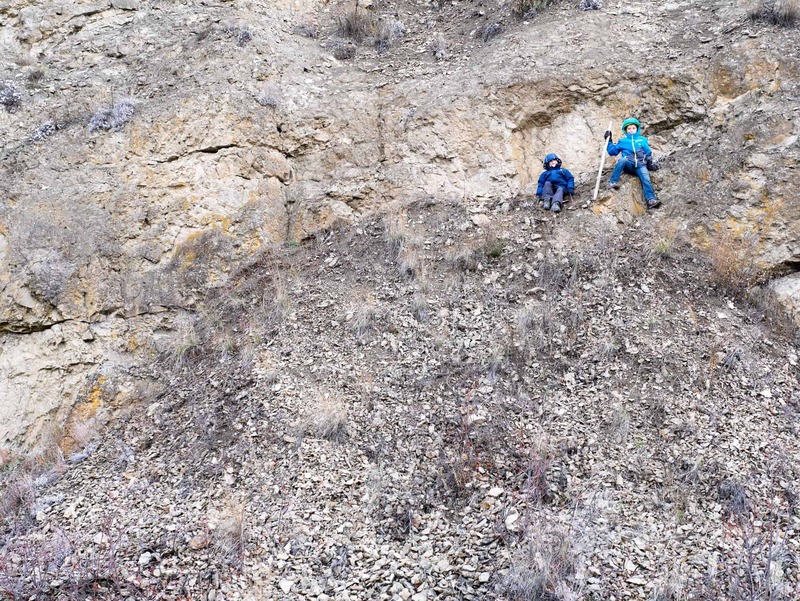 Check out my family friendly Okanagan Hike and Bike Trail Map. Big White and Silver Star are hoping for a great start to the winter season and they’re starting with a bang! Every year I hear about the fabulous Summerland Festival of Lights and somehow we always seem to miss it. This year we are going to be there! Festivities begin at 5:00 pm with the Santa procession, followed by the lightup at 7:00 pm and fireworks at 8:30 pm. There’s going to be fun kid-friendly activities, yummy food and entertainment too. For more information: Summerland Festival of Lights. Hoodoo Adventure Company is hosting its 6th Annual Santa Rec Run and this year’s going to be the best one yet! Sign-up for a 10km, 5km, or 2km kids run and raise money for local outdoor youth programs. For more information check their Facebook event. Don’t Miss Another Adventure! Sign-up for email notification.